A wonderfully captured composition. Well done that man !! Super timing, great action shot from your friend Jim. Jim was at the right and at the right time, thanks for posting and sharing Peter. I second all these positive comments re this picture. 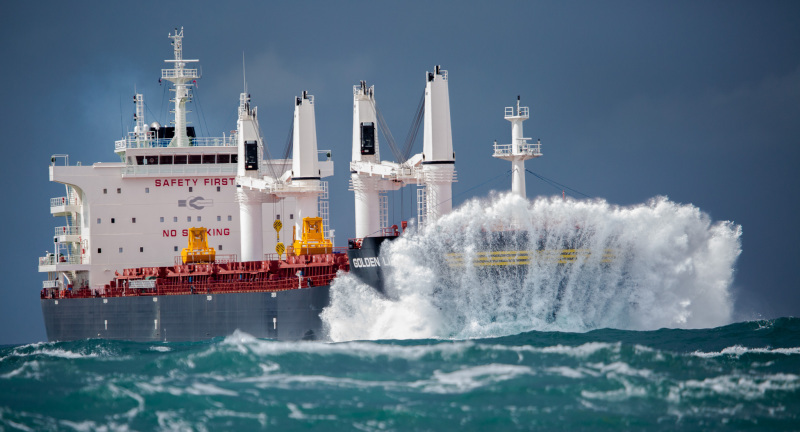 Without doubt the best action shot I have seen in years, of a wave -ship configuration. Congratulations in order to Jim Grinter. Fantastic shot, thanks for sharing! Just stunning sharp action shot, colour,and DOF. A well caught and colourful image, as seen. A superb image when at full size. That really is something else Peter! This photo has been shown 1,737 times since it was added to the site.